Located in Snowmass Village, The Westin Snowmass Resort has ski-in, ski-out access to some of the best-rated ski terrain in Colorado. From winter skiing and snowboarding to summer hiking, outdoor activities and a cozy bar scene abound in all seasons. Aspen is a 20-minute drive away. Located in the mountains, this ski-in/ski-out resort in Snowmass Village is within 1 mi (2 km) of Snowmass Ice Age Discovery Center and Snowmass Mountain and close to winter sports such as cross-country skiing and snow tubing. Snowmass Mall and Anderson Ranch Arts Center are also within 1 mi (2 km). The Gant - Aspen is 4 blocks from the base of 12,351-foot Aspen Mountain, known as Ajax; the Silver Queen Gondola, Silver Circle Ice Rink, and pedestrian malls are within 7 blocks. 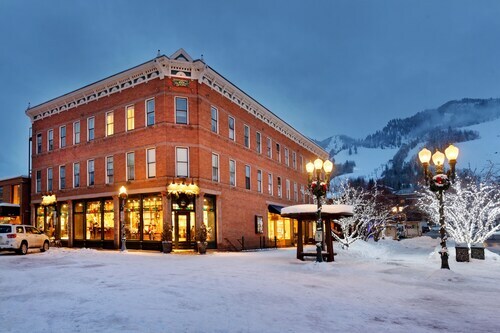 Hotel Jerome is a restored 1889 Luxury Silver Boom Era hotel, 7 blocks from Aspen Mountain and the Silver Queen Gondola, provides airport and local transportation to guests. 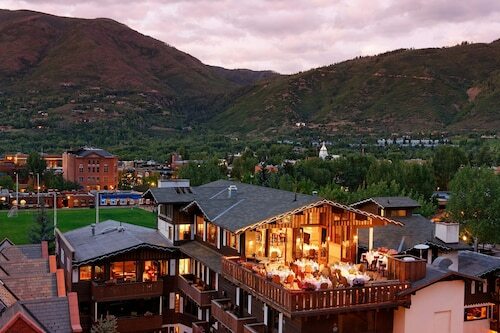 Located near the slopes, this Snowmass Village hotel is in the mountains, within 1 mi (2 km) of Snowmass Mall and Snowmass Mountain, and close to winter sports such as cross-country skiing and skiing lessons. Snowmass Ice Age Discovery Center and Anderson Ranch Arts Center are also within 1 mi (2 km). 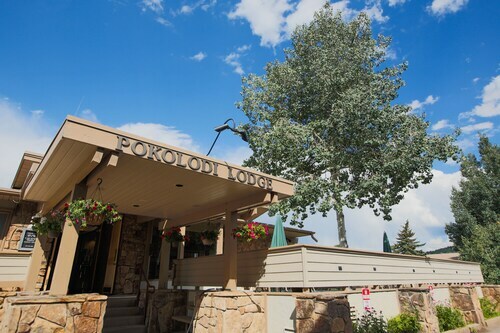 Located near the slopes, this Snowmass Village hotel is in the mountains, within a 10-minute walk of Snowmass Mall and Snowmass Mountain, and close to winter sports such as cross-country skiing and skiing lessons. Krabloonik Dogsled Rides and Snowmass Ice Age Discovery Center are also within 1 mi (2 km). This family-friendly Snowmass Village vacation home is located in the mountains, within 3 mi (5 km) of Snowmass Ice Age Discovery Center and Snowmass Mountain. Snowmass Mall and Anderson Ranch Arts Center are also within 3 mi (5 km). Is your anniversary quickly approaching? Maybe you’re looking for the perfect honeymoon getaway? Or, has it just been too long since you and yours had some quality alone time away from the hectic schedule of everyday life? 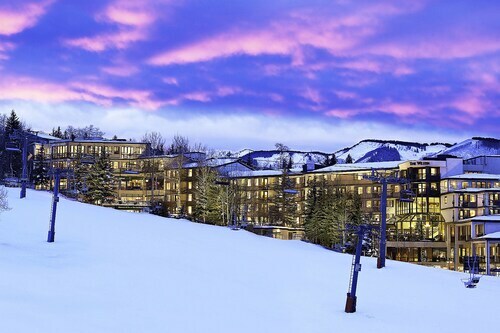 Take a steamy trip and stay at one of the most romantic hotels in Aspen Snowmass. Remember the feeling of first meeting your significant other? You were nervous and excited. It felt like talking to your first crush on the playground. Re-ignite those feelings with an unforgettable stay to one of the Aspen Snowmass romantic hotels. Treat your loved one to a perfect day with breakfast in bed, a day at the spa and then a sultry dinner at a top restaurant in Aspen Snowmass. After dinner, take a moonlit walk through one of the city’s beautiful parks, because nothing says romance like a stroll under the stars. 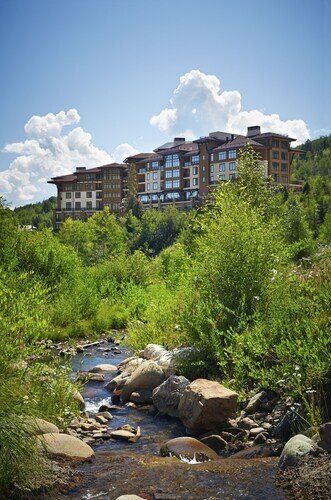 Whether you have been together for a few weeks or 50 years, the romantic hotels in Aspen Snowmass are the perfect weekend getaway for you and your loved one. You’ll also be feeling affectionate toward Travelocity when you browse our vast selection of accommodations that cater to couples. We have unbelievable deals on the best romantic hotels in Aspen Snowmass, so you don’t have to worry about breaking the bank for your trip. Book now and let the honeymoon begin. Room was very nice for the price. The breakfast was kind of an afterthought. Nice hotel, Great staff, Good location!!!!!!!!!!!! We loved staying here. 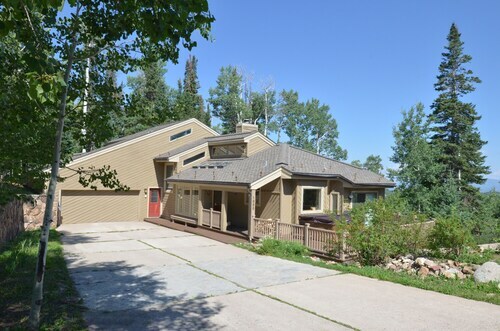 The property is perfectly located in Aspen and is easy to get to anywhere you wish. The staff was amazing. Always had a shuttle available and everyone was friendly. Our room was great. Definitely have already recommended friends to stay here. Very detailed, lots of info on what's around and was given a heads up prior to arrival. Best service i have ever had. I'm very hard to please.